Happy Sunday! I'm up on the blog today for Whimsie Doodles showcasing this darling image from our latest release - "Bunny's Basket" which can be found here. This and many more Easter images can found in shop and ready for instant download. 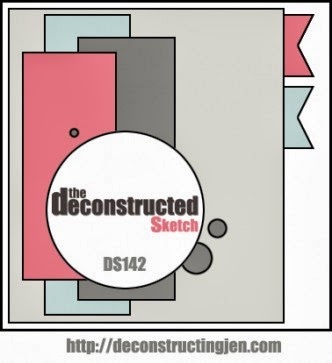 This card was created based off of this week's sketch at The Deconstructed Sketch - another perfect sketch that worked so well with my image. 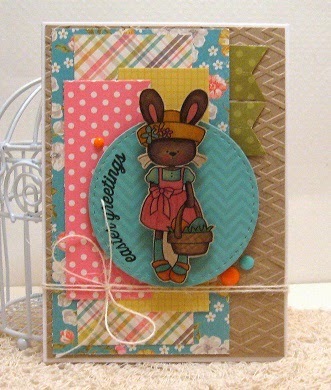 I so love that bunny designs on your Easter card, simply amazing. and i love the colors as well. That is one of the most beautiful card I've seen for Easter. I like the overall designs you used for it, the layers, colors and everything make it really stand out. That can make a perfect present for Easter 2014 for friends and family.